Legal experts say Cyprus and Greece are heading on a collision course as hundreds of Greek investors – who lost millions in the 2013 bail-in on the island – continue to launch legal action against the state. 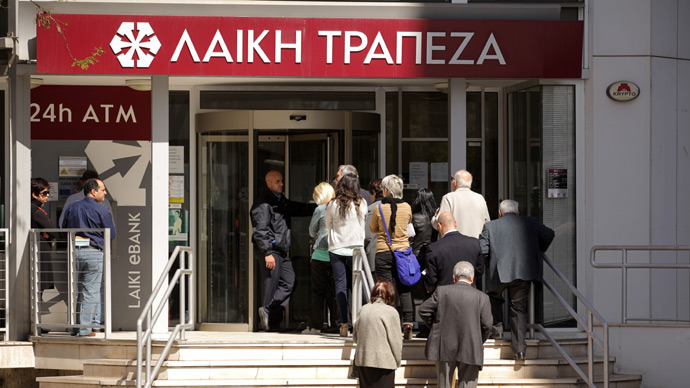 Greek investors claim that they were discriminated against and lost millions in the bail-in of Cypriot bank deposits some four years and have launched legal action against Cyprus. Back in 2015, lawyers said some 676 individual and institutional depositors and bondholders, asserting 434 separate claims, were seeking to recover losses they estimate at over €120 million. The cases had been filed with the International Centre for Settlement of Investment Disputes, an international investor tribunal affiliated with the World Bank. But according to the latest number of case files at the International Centre For Settlement of Investment Disputes (ICSID) in Paris and which were revealed by Phileleftheros on Sunday, that figure now appears to have surged dramatically to €7.5billion. This in turn is threatening to harm relations between Cyprus and Greece as a legal victory for the Greek investors could put a serious dent in the state purse. Such are the vast sums being battled in the courts that the Legal Services in Cyprus have been forced to seek the help of international law firms. Cyprus imposed losses on unsecured deposits in Bank of Cyprus and now-defunct Laiki Bank in 2013, when the island formally requested a €10bn bailout from the European Union and International Monetary Fund. Both banks had hundreds of millions in exposure to Greek sovereign bonds, written down in an EU-sanctioned attempt to make the Greek debt mountain more manageable. The write-down inflicted losses on Cypriot banks, which held a lot of Greek government debt. The bail-in rule kicked in when the IMF and the EU refused to put up enough funds to cover the recapitalisation of Cypriot banks. “We believe that Greek investors were singled out and discriminated against during the bailout – while Greek depositors were subject to extreme bailout measures, many public institutions of Cyprus were made exempt,” said Jay Eisenhofer, co-managing director of law firm Grant & Eisenhofer in an emailed statement, back in 2015. Cyprus, a euro zone member since 2008, was first to enforce the ‘bail-in’ rule, now an EU directive, requiring that under certain circumstances bank depositors would shoulder the cost of recapitalising banks.